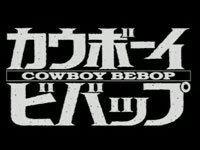 Its been 11 years since Cowboy Bebop came out in 1998 but its only now that I was able to watch it. I have to say that I wasn't disappointed, only slightly, not by the story or the characters, but rather by the ending. I hate it when series creators leave the major plot line hanging in the end. So did he or didn't he? Cowboy Bebop is a story of a group of bounty hunters who go around the solar system catching people with bounties on their heads. I'm not saying criminals because even in the future one is presumed innocent until proven guilty. "Cowboy" is the term that is used to refer to a bounty hunter. Bebop is the name of the ship that everybody resides in and uses as their base of operations. The main reason that got me interested in watching this 26 episode tv series and the Cowboy Bebop Movie offshoot was the involvement of some Macross related people in its production. The list below of Macross people who had worked at Cowboy Bebop was sourced from AnimeNewsNetwork.com. Shoji Kawamori - Macross Creator, wrote episode 18, where Faye learns a small snippet about her past. He was also credited for helping in the Cowboy Bebop Movie. Maaya Sakamoto - who played Ranshe Mei, the mother of Ranka Lee in Macross Frontier, played Stella in Cowboy Bebop. Norio Wakamoto - played Dr. Worth in Macross Plus and also played Spike Speigel's nemesis - Vicious. Houko Kuwashima - played Nanase and Canaria in Macross Frontier and also played a cashier in the Cowboy Bebop movie. The main characters of Cowboy Bebop are Spike Spiegel, Jet Black, Faye Valentine, Edward and Ein. Aside from going after bounties, the series entertains us with the crews constant quest for food and tries to disseminate piecemeal per episode the mysterious origins and secrets of each crewmember to build on to the overall plot. Spike Spiegel could be classified as being impulsive, an excellent fighter, fuzzy haired, shot-first-talk-later. An ex-member of a criminal organization. His flashbacks revolves around him leaving this underground organization and the mysterious lady known only as Julia. He is also the owner of the Swordfish, a red colored craft that is considered antiquated by their standards yet still packs enough firepower and speed to get the job done. Jet Black is the balding ex cop who owns the Bebop. The series starts out initially with only him and Spike being the inhabitants of the Bebop. Aside from being the oldest, he can be considered the most experienced among the group. He has a lot of connections in law enforcement owing to his background and this sometimes gives the group an edge, most especially in getting tips to the new bounty prospectus. Aside from being in charge of maintenance of the ships, he is also the designated cook. He also has a prosthetic in place of one arm. I take it back, Faye Valentine is the oldest of the group, since her age is hovering around 70 years. The reason for this is because she was cryogenically frozen for fifty years after a terrible accident. When she woke up she had no recollection of her past and she found out that she was piled under the debt of the cryogenic treatment. The situation that she is in has forced her to be nonchalant about life and also to be addicted to high stakes gambling in order to pay off her debts. Edward is actually a girl who had been orphaned and was living alone in the meteor shower plagued earth before joining up with the Bebop Crew. Don't let her quirky demeanor fool you however as she is one excellent hacker and chess player. Like Faye Valentine, Edward wasn't originally part of the Bebop, but was adopted later on to be part of the crew. Ein is a Welsh Corgi dog. But he's not just an ordinary dog because he had been modified to be a data dog. That makes him one very smart dog. Ein was rescued from an illegal lab where experiments were conducted on animals. Ein tries to help out during the teams exploits but they hardly notice that there is really an actual purpose behind his actions. The soundtrack for Cowboy Bebop has always been synonymous with what a great movie soundtrack should be. Anytime there is a discussion about an anime series with great music and arrangement, most often than not, Cowboy Bebop will always come up. That is due to the very Talented Yoko Kanno who did the music and the arrangement. Each episode in Cowboy Bebop is called a session and named after a song in real life. The musical arrangement for each episode was specifically tailor fit to the title in order to invoke a general theme. Its no secret that a great soundtrack can immerse the audience further to the plot, therefore increasing one's entertainment experience, and Yoko Kanno definitely over delivered in Cowboy Bebop, cementing her position as a giant in the musical scoring side of Anime production. All in all, its a great anime franchise, the artwork is very impressive and each episode's story is carefully crafted. Its only the cliffhanger ending that I didn't like because it left me clamoring for more. CLOSURE! CLOSURE!